(2) To Nakagawara and Bessho garden: the JR Gotemba Line to Shimo-Soga Station, and then walk 10 minutes. (3) To Hara garden: the JR Gotemba Line to Shimo-Soga Station, and then walk seven minutes. Yoroi Toshikoshi Shuko (or Shugyo) at Bannaji Temple, Ashikaga, Tochigi Pref. 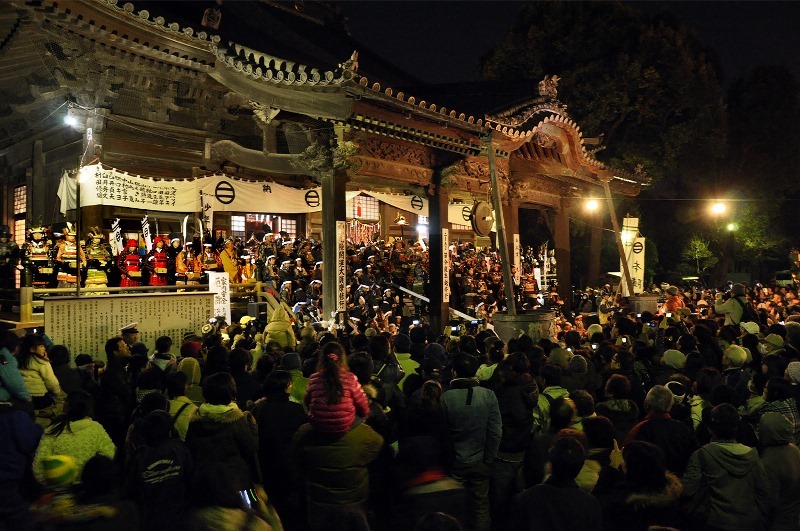 Yoroi-gyoretsu, a procession of about 200 people clad in armor proceeds along Odori Ave. from Orihime Kominkan Public Hall to the temple, from 7 p.m. to around 8 p.m.. 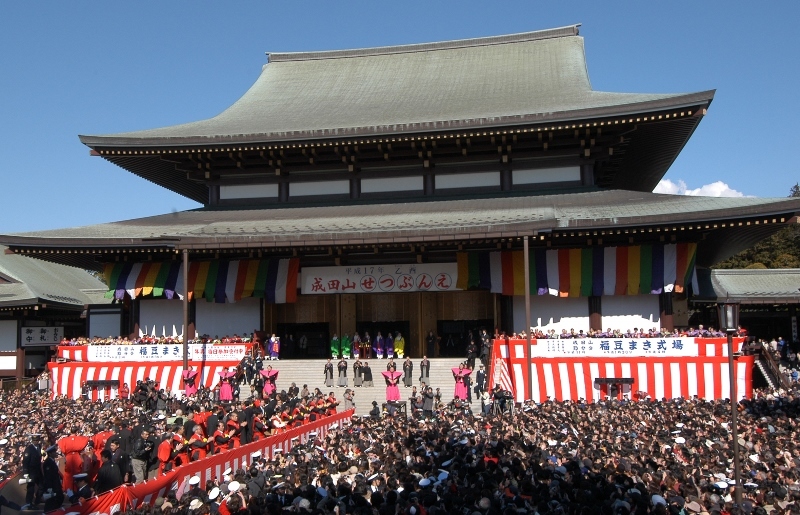 Thereafter, mamemaki (bean-throwing ceremony) takes place. Access: (1) The Tobu Isesaki Line to Ashikaga-shi Station, and then walk 10 minutes. (2) The JR Ryomo Line to Ashikaga Station, and then walk 15 minutes.